The only thing better than building your own PC is to build it for very little dough. While it's possible to build a powerful PC on a budget all year round, Black Friday is an excellent time to get even more bang for your buck. You can find amazingly low prices on components, amazing combo and bundle deals, and sometimes you can even get extras (like a digital copy of a video game) tossed in. For fun, we decided to see just exactly how low we could go. 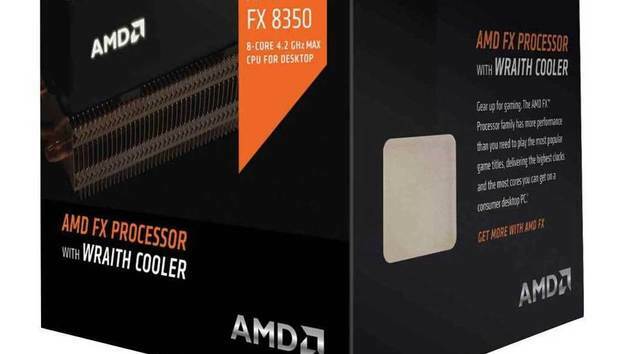 So though you can snag fantastic deals on higher-end parts right now (like Micro Center's deals on the Intel Core i5-6600K, i7-6700K, and six-core i7-6800K), these three builds play off of the same Micro Center deal: an AMD FX-8300 for $130, with a combo discount of $40 off a compatible motherboard. Turns out that this year, you can put together a decent budget gaming system for just over $350. No trickery here, either: That price includes the Windows license. The FX-8350 is limited to 1 per household and in-store pickup only. The ASRock motherboard is free after $40 bundle deal with the FX-8350 and a $20 mail-in rebate. Also, it lacks onboard Wi-Fi, so you'll have to spend another $15-30 on a wireless adapter if you can't use an ethernet connection. The price for the PowerColor RX 460 is after a $15 mail-in rebate. This deal goes live on November 25 (Friday). The Cooler Master N200 case's price is after $2 instant coupon (code is on the product page) and a $20 mail-in rebate. You have to file a $20 mail-in rebate to get this price. In our friendly in-house budget build showdown a couple of months ago, we discussed the sacrifices you sometimes have to make with budget systems—like choosing an older but reliable part. Those still exist in this $350 build, but now you're paying less to make similar choices. In some instances, you're even getting a better component than we chose for our September builds. Back then, I picked a FX-6300, but this build features an FX-8350 that's more evenly matched against the pricier alternative of a Core i3 CPU and compatible motherboard. If I were going to spend extra cash on this build, I'd buy a 1TB hard-disk drive and a FreeSync monitor. The HDD is currently $50 at Amazon, and you can get a 27-inch Dell IPS 1920x1080 FreeSync monitor at Micro Center for $150. (Some may argue that a 27-inch 19x10 monitor might not have enough pixel density, but I don't have as much issue with it at this price, especially when I get the joys of variable refresh rates in exchange.) I might even choose to instead go with a dual-channel RAM configuration instead of the cheaper single-channel one for an extra $7. All told, these upgrades would bring the cost of the build to $559, which is still quite good for a complete system. Since a G-Sync monitor would crater the whole concept of a budget build (alas), the only extra cash I'd spend on this build would be $50 for a 1TB HDD and $7 for a dual-channel configuration of RAM. That'd bring the total up to $434, which is still pretty cheap, since it includes Windows 10. If you're not comfortable with buying a Win10 license key through Kinguin, the next best price right now is $92 for an OEM license through Amazon. That'll notch things up to just over $435 if you skip the extra hardware, and about $495 if you don't. You have to apply a $5 instant coupon (code is on the product page) and a $20 mail-in rebate to get this price. Jumping up to 1080p performance costs just under an extra $100 for the video card upgrade and the beefier power supply to go with it, but if you want to enjoy the latest games while playing on Ultra settings at 60fps, this is the way to go. We crowned the RX 480 as the best 1080p graphics card for a reason. And this particular card is still a deal. Due to demand outstripping supply, prices stayed above MSRP for so long that we haven't seen it this low before. Heck, this PowerColor RX 480 is even cheaper than some RX 470 models right now. (If you really want to step down to save a few bucks, there's an MSI RX 470 available for $150 after $20 mail-in rebate. We say you should pay the extra $20 for the better performance, though.) This card comes with a bonus copy of Civilization VI, too. Since the only thing constraining this build is its hard drive, I'd add a $50 1TB HDD if I were throwing down extra money. And since the graphics card in this system supports FreeSync, that $150 Dell 27-inch 1080p FreeSync monitor is pretty tempting too. Opting for both upgrades plus a dual-channel RAM configuration would make the complete system run $669. That's no longer quite budget territory, but for a 1080p system that runs current games on Ultra at 60fps, it's a good price. Here's where using Kinguin shifts the balance of the build cost a little more, though: If you buy an OEM Windows license through a more conventional retailer, your total will be over $500 if you skip the optional upgrades, and over $700 if you don't. You can add more fancy things to these system, of course—but aftermarket coolers and the like will only push you further and further away from that $350 starting point. If you do attempt one of these builds, get organized. Those mail-in rebates add up to as much as $60 of savings, so if you don't file them on time or track them to make sure they arrive, you're losing out on a decent wad of cash. Also, while the cost of Windows 10 is factored into these builds, sales tax is not. Depending on where you live, you may have to budget for paying up to an additional 10% for parts. Finally, if this is your first build, you can read up on how to put everything together in our step-by-step guide.